The gentle Bowen moves are quickly embraced by children, as they find it very relaxing. Each session is 20-30 minutes without the need of the breaks required for adults. Treatment is received over light clothing, on couches, chairs, parent’s laps and often a baby enjoys the benefits across Mum or Dad’s shoulder. A caring adult must always be present during treatment and will often support the therapist in making the whole procedure pleasurable by interacting with the child. ADHD, asthma, autism, allergies, bed-wetting, constipation, cerebral palsy, chest infections, clicky hips, colic, croup, dyspraxia, eczema, glue ear, growing pains, headaches, muscular and skeletal problems, panic attacks, psoriasis sinusitis, stress and many more. In addition it can improve/correct posture balance and co-ordination helping the child to learn new skills and improve confidence. Improved sleeping pattern; more balanced energy level; better concentration and application; enhanced motor control and behaviour and generally happier, quieter children. It also aids recovery from trauma e.g. difficult birth, accident, a family death, divorce/separation within family. Some childhood ailments may require regular treatments. 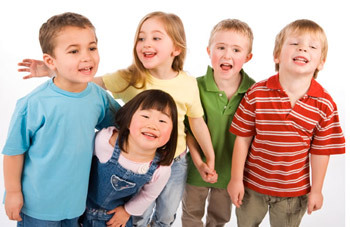 The weekly Bury St Edmunds Children’s Clinic is held every Wednesday from 3pm. The half hour sessions are by appointment only and the Clinic runs on donations (minimum £5). Please telephone Jo Wortley on 01284 754292 to enquire or book your appointment with Jackie Bowen, Jo Wortley or Jacky Stevens. The Ipswich Children’s Clinic is run by Jackie Bowen from her home address by appointment only. The fee is £15 for 30 minutes. See Find My Clinic for travel directions and for further information see the link on the BTPA Website.